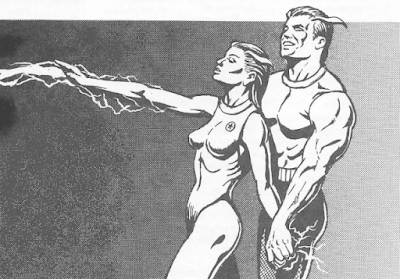 Player characters do not begin with any of these powers, but when they gain powers, “they must always choose the powers in order within a category.” As an example, Moldvay informs us that a “character could not choose the Magneto power of Energy Field until he or she already had both the Magneto powers of Electrosensing and Electrosleep.” Non-player characters are not bound by these restrictions. For instance, the write-up of Circe in The Book of Foes indicates she has the Wizard powers of Animal Control and Storm, but none of the intermediate Wizard powers. Incidentally, Hercules has most of the Somatron powers even though they are Futuristic. As the characters continue to gain experience, they will gain special powers. 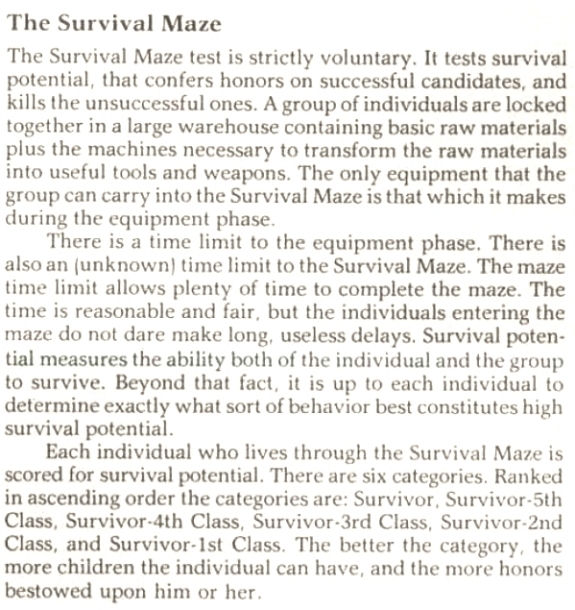 When a character qualifies for a special power, the player should read PART 6 – POWERS to decide what power their character chooses. 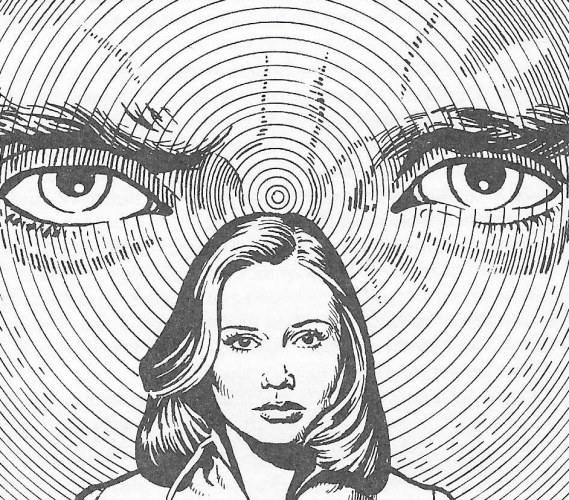 If successful, the individual gains the power of Clairvoyance. If unsuccessful, the character's mental ability is immediately reduced to 2. 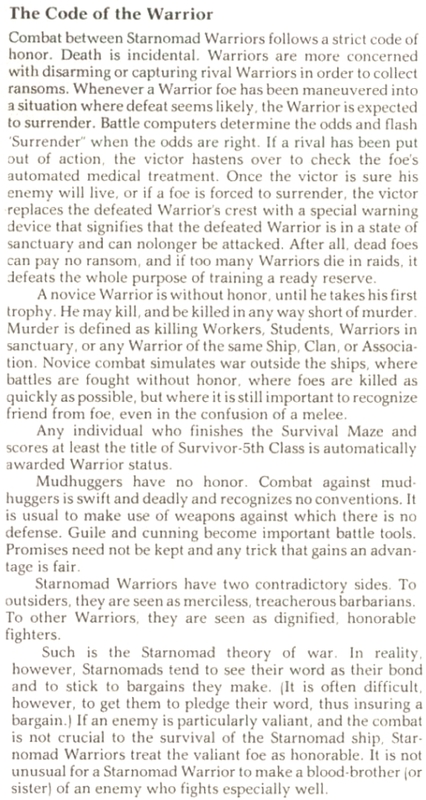 In another ancillary encounter, it is possible for a single character – after winning a series of combats – to gain “the power of True Sight.” Neither of these circumstances involves a character choosing freely (or even the character being aware that a power may be gained as a result of the circumstance). As such, they do not seem to conform to how Moldvay intimates characters gain powers. Although Moldvay wrote several articles about Lords of Creation in the periodical Heroes, in none of them does he touch upon power acquisition. This seems to be an oversight of a vital aspect of the game. 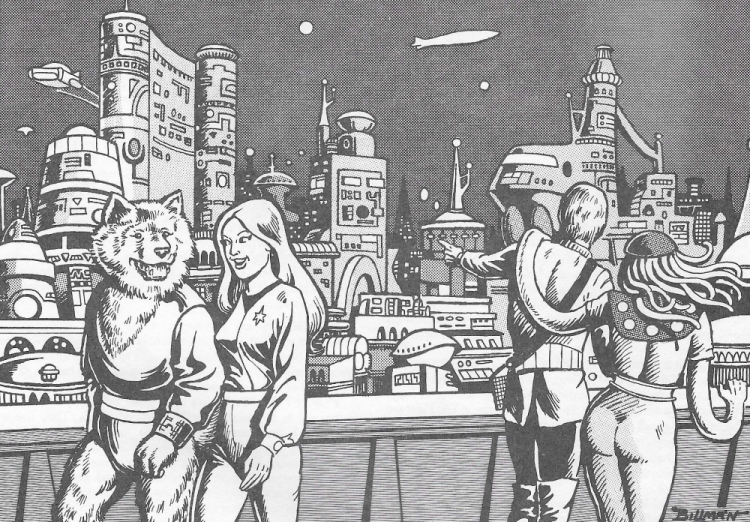 In this post, we continue our presentation of Tom Molday's historical background of the Starnomads. 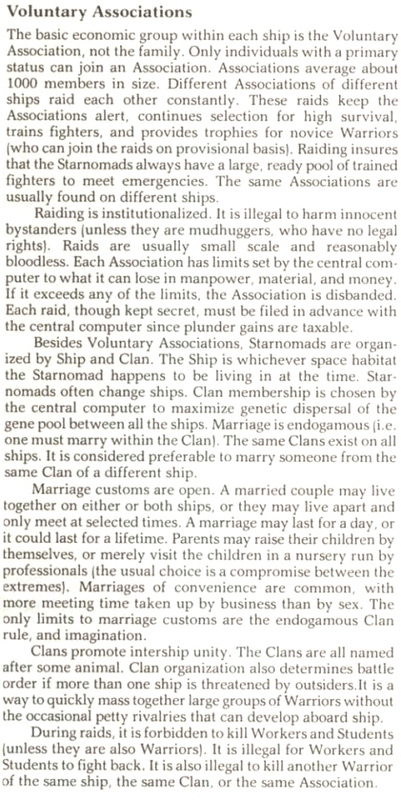 We learn that “Mudhuggers have no honor” and that, regarding mudhuggers, “Promises need not be kept...” Yet,“trade is so important the Starnomads” and “Starnomads make excellent traders.” It seems incongruous that a people seen as “merciless, treacherous barbarians” can manage to be “excellent traders.” Additionally, we learn that Starnomad “habitats are entirely self-sufficient.” So, why should Starnomads sully their superior hands by trading with debased mudhuggers or by raiding disgusting mudhugger settlements? “Mudhuggers have no honor,” we are told. 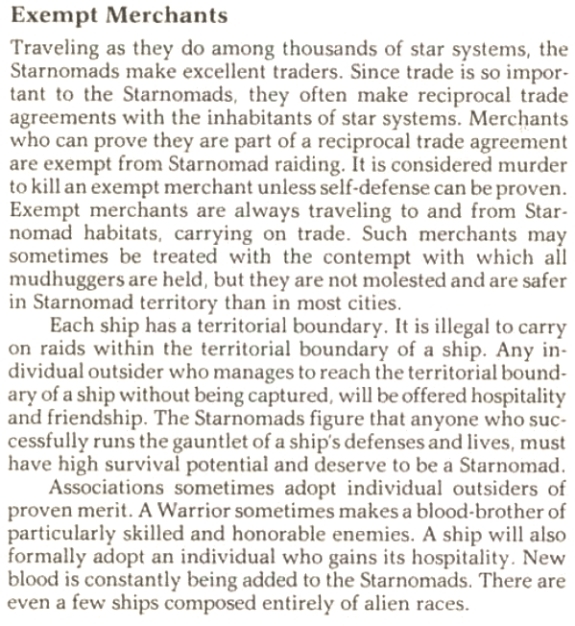 However, a Starnomad ship will “formally adopt an individual who gains its hospitality.” This is not a rare occurrence – “New blood is constantly being added to the Starnomads.” As such, there must be honor to be found among some mudhuggers. 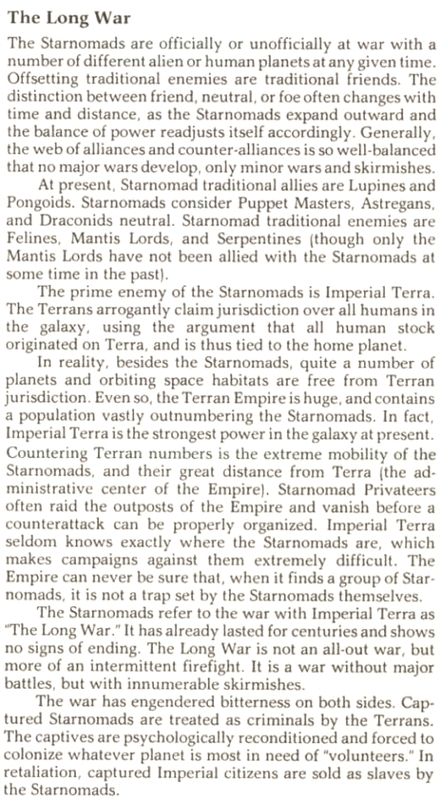 Along with the adventure, Moldvay provides an 'Historical Background' for the Starnomads, some of which is duplicative of the material in the Imperial Terra setting description. The first part of this background follows. As mentioned in a previous post, Tom Moldvay intended that The Horn of Roland be included in the Lords of Creation boxed set as an introductory adventure. For whatever reason, The Horn of Roland was published as a separate item. I examined Roland to see if it addressed perceived gaps in the Lords of Creation rules; alas, it did not. Regardless, Roland offers a glimpse of how Moldvay intended Lords of Creation to be played. 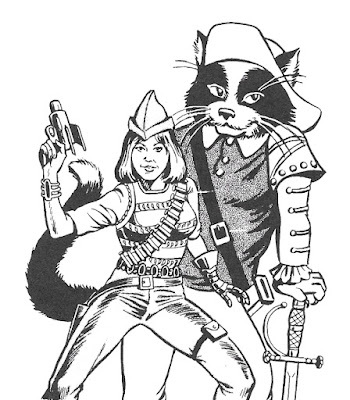 In most role-playing games, player characters are part of the setting from the start. 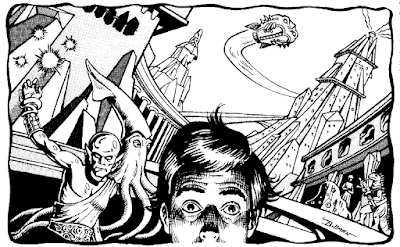 In Lords of Creation, Moldvay stated that player characters “begin as 'ordinary' people; strange things start to happen to them; they undergo unusual adventures.” They are introduced to parallel worlds, alternate dimensions, and pocket universes; they gain extraordinary abilities. In short, the player characters transition from the mundane world to the “region of super-natural wonder” (to use Joseph Campbell's phrase). 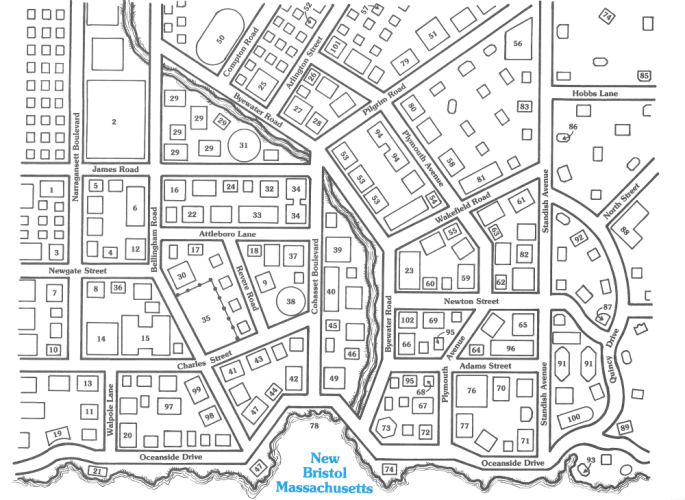 The players are given some hand-outs, such as the above map. Unfortunately, there are complications. On the map, #47, #74, and #95 each appear twice. Locations #48, #75, #84, and #90 are absent. (The duplicates of #47 and #74 might account for the missing #48 and #75, respectively.) Finally, the key lists 101 locations, but the map includes location #102. I think Moldvay wanted New Bristol to serve as a continuing base of operations for the player characters and a place to acquire equipment. A venue less expansive than a town may have been more suitable for starting characters; a university, perhaps. Anyway, during the course of the investigation, the player characters are plagued by a Phantom. 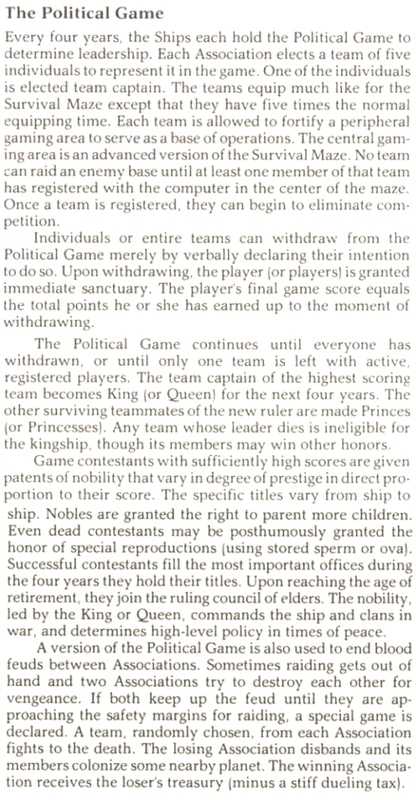 The players are not informed about the reasons for the antagonism of the Phantom until the last scenario. The murder was committed by a local heiress possessed by the spirit of a witch. (The victim was descended from the judge who sentenced the witch to death three hundred years ago.) The mysterious “Cult of the Serpent” was responsible for summoning the witch's spirit and supplying a living vessel for it. While investigating the seven red herrings, the player characters interact with a long list of townspeople, none of whom are associated with the cult. If some of the NPCs were cult members, it would have provided players another means to get at the truth. A non-player character tells the player characters where to go for the climax of the scenario and they get the privilege of watching said NPC conduct the denouement. Not only must the player characters plod through a complex mystery, but they also get sidelined by an NPC at the end. Well, the player characters see their Phantom board a “Ghostly Galleon.” The aforementioned NPC offers them $100,000 to pursue the Phantom (even though he has no reason to do so – nothing suggests he was even aware of the Phantom prior to the end of the adventure). The heiress, freed from possession, offers her 70-foot yacht. This leads into the second scenario. What if the player characters aren't interested in pursuing the Phantom? If the characters don't chase the Ghostly Galleon, there is no further adventure...Do your best to let the characters give chase voluntarily. But if all else fails, the characters are surrounded by a bright yellow light...Each character will have a vision of his enivitable [sic] death at the hand of allies of the Phantom. Every character who fails to make a Luck Roll feels an uncomfortable urge to chase the Ghostly Galleon. The characters have to realize, as soon as possible, that they can't harm the hunter. He is simply too powerful considering the characters' current level of experience. The characters stand no chance in battle. Their only hope is to flee as fast as possible. If they don't flee quickly, the hunter has time to attack, and possibly kill, one or two characters chosen at random before the sun rises and he returns to the clouds. 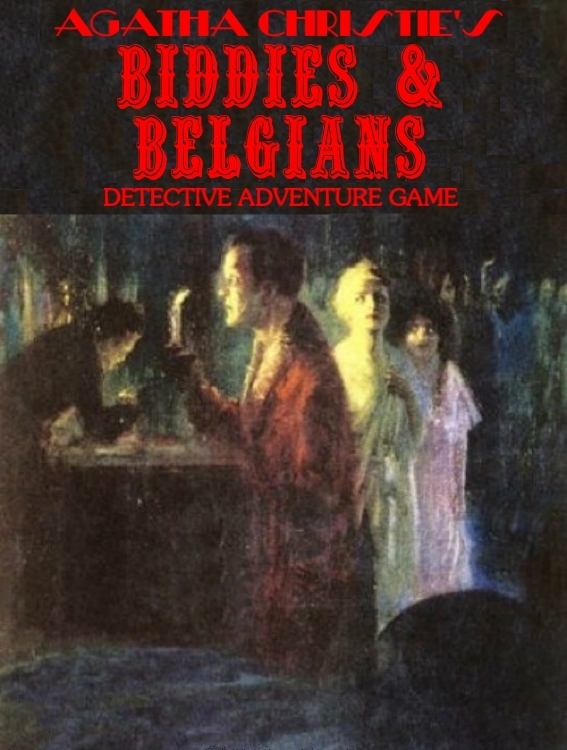 Fortunately, the player characters meet up with the Flying Dutchman. He gives them a statuette that keeps the Wild Hunt away, but it is only effective for a week. The only permanent protection from the Wild Hunt is the eponymous Horn of Roland. The Dutchman has recently seen it in a bone tower, on a nearby island. The bone tower is the subject of the third scenario. The player characters go to the bone tower and fight a wide variety of foes. They also come across a couple of prisoners, one of whom is Cyrano de Bergerac. Moldvay must have been a fan of the French duelist; not only was Cyrano featured in Moldvay's The Future King, he warrants a one-page appendix in The Horn of Roland. Moldvay also modified a ballad from the play Cyrano de Bergerac for Cyrano to recite while he – not the player characters – defeats one of the bone tower guardians. On the island, robots have “enslaved” humans. This is automatically assumed to be a bad thing. A revolt against the robots is the subject of the fifth scenario. In order to successfully revolt, the humans need to be armed. In the fourth scenario, the player characters gather the necessary weapons from the “Caves of Doom.” Although they don't realize it, the player characters are required to obtain a magic sword – Lightbringer – from a “Bloodstone Cube” in the Caves of Doom. If the characters don't voluntarily travel to area D20, then touch the Bloodstone Cube, they feel an unexplained, irrestible [sic] urge to do so. Give the players every chance to take their characters to D20 and touch the cube. But if the characters try to leave the Caves of Doom without acquiring Lightbringer, they find it impossible to leave. No matter which way they go, the path seems to wind around back to the entrance to D20. The final scenario begins when – after the revolt – Phantoms attempt to steal the horn. (Remember the Phantom from the first scenario?) 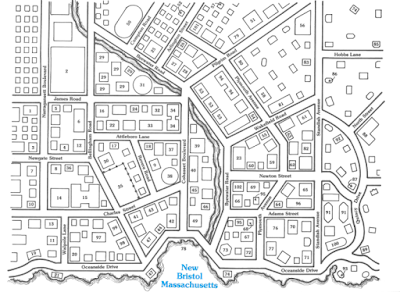 “In the struggle,” the scenario reads, “one of the Phantoms accidently loses a map that gives directions to the stronghold of the Phantoms.” One might think that the Phantoms intentionally dropped the map to lead the player characters into a trap. I mean, the Phantoms don't need a map; they can teleport and – even if they couldn't – they still manage to get back to the stronghold without the map. Yet the map was lost accidentally and thus accurately indicates how to get to bad guy headquarters. At the Shadow Stronghold, the player characters finally learn why they have been drawn into these scenarios. The basis of The Horn of Roland is the animosity between the mythological Erebus and Prometheus. Erebus has Prometheus chained in the Shadow Stronghold. “Erebus, Lord of Shadows,” we read, “for reasons known only to himself, has decided that the characters are his enemies.” Actually, although the players never learn this, Erebus wants to destroy all persons who have the potential to become Lords of Creation (such as the player characters). So, Erebus sent the Phantom(s) and (I guess) the Wild Hunt against the party. Prometheus “has been helping the characters secretly throughout the adventure.” The Lightbringer sword is the only thing that can break Prometheus' chains. Once the player characters free Prometheus, Erebus appears and the two fight. The player characters get to watch. The scenario reads, “Prometheus asks the characters to keep out of the battle...” Erebus necessarily loses. I would have designed the adventure so that the party fights a group of Erebus' followers while Prometheus and Erebus fight on a different dimensional plane. Also, what happens in the conflict of mortals would affect what happens in the conflict of immortals. Then again, I'm used to dealing with players who actually like to have their characters engage in meaningful activity. The Horn of Roland has aspects of a railroad and forces player characters into inactivity during what should be the most exciting parts of the adventure. It also has a 'big picture' of which the players remain ignorant until the very end. Players don't need to see the 'big picture' from the start of the adventure, but enough of it should be presented so that the players have an idea about what is going on and they can interact with the adventure appropriately. For instance, if the players knew there was an extremely helpful magic sword in the Caves of Doom, then the characters would likely not need to be compelled to find it. Moldvay has no problem with a mentor NPC giving directions to the player characters (e.g., the Flying Dutchman). He also has no problem with player characters receiving “visions.” Why not clue the PCs into the fact they are acting for the benefit of Prometheus (or an unnamed powerful being) who will help help them against their (mutual) enemies?